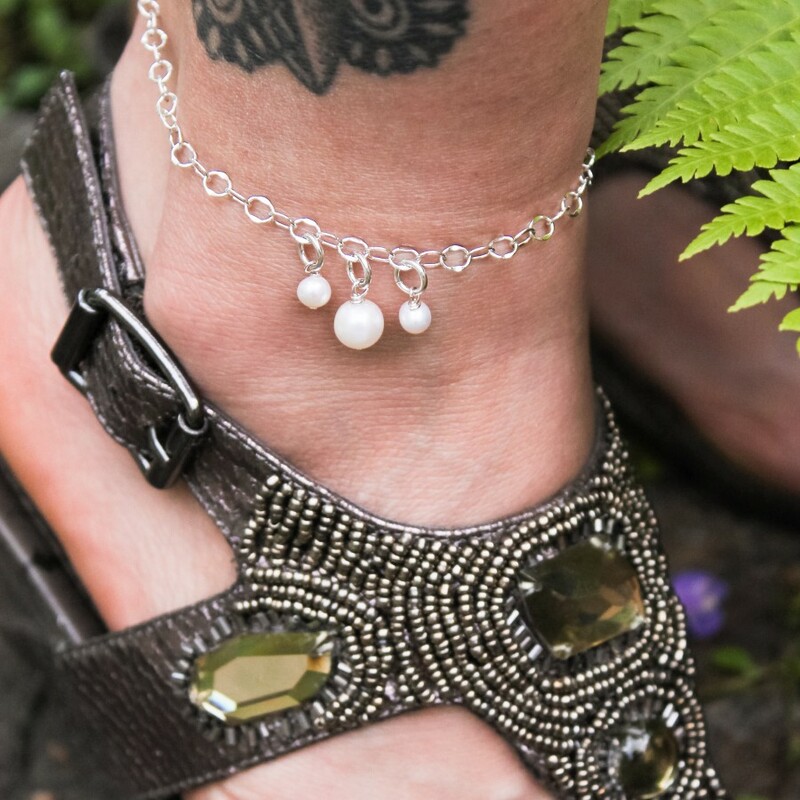 Hammered shimmery sterling silver chain anklet with three white freshwater pearl drops. 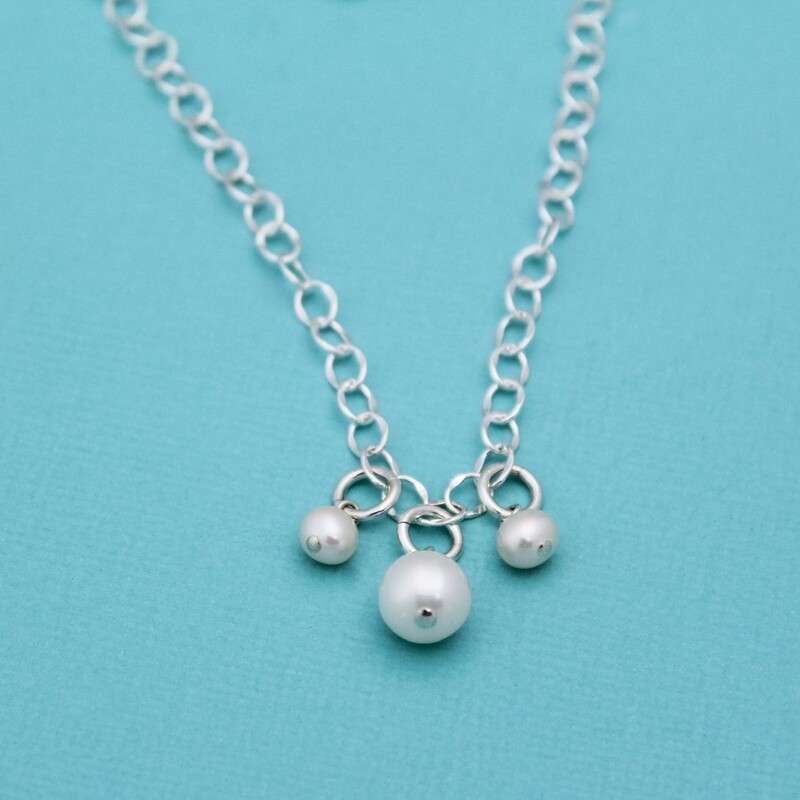 Clasp is a sterling silver lobster clasp, easy to fasten. 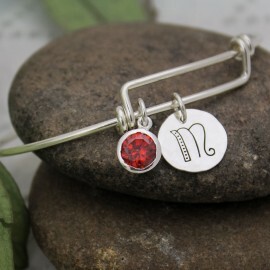 **BRIDES** Perfect bracelet for your wedding party.